Home / Cagayan de Oro City / Events / Lifestyle / JBL SM CDO Downtown Premiere Grand Opening PROMO on December 8 to 10, 2017! JBL SM CDO Downtown Premiere Grand Opening PROMO on December 8 to 10, 2017! JBL store at SM CDO Downtown Premiere will be GRAND OPENING on December 8, 2017. In connection with their opening, they will have a 3 day promo exclusive only for our CDO branch. 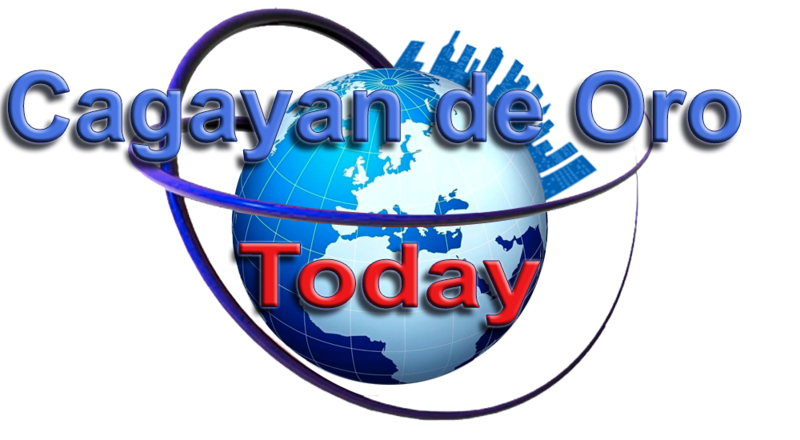 Promo duration will be from December 8 to 10, 2017. Visit JBL Store at SM CDO Downtown Premiere on these dates and enjoy discount of UP TO 50% OFF on selected JBL items. You will also get the Free limited JBL T-shirt for a minimum single receipt purchase of JBL products worth PHP 5,000 and some Exciting bundles. This is Exclusive only for JBL SM CDO Downtown Premiere branch. So what are you waiting for? 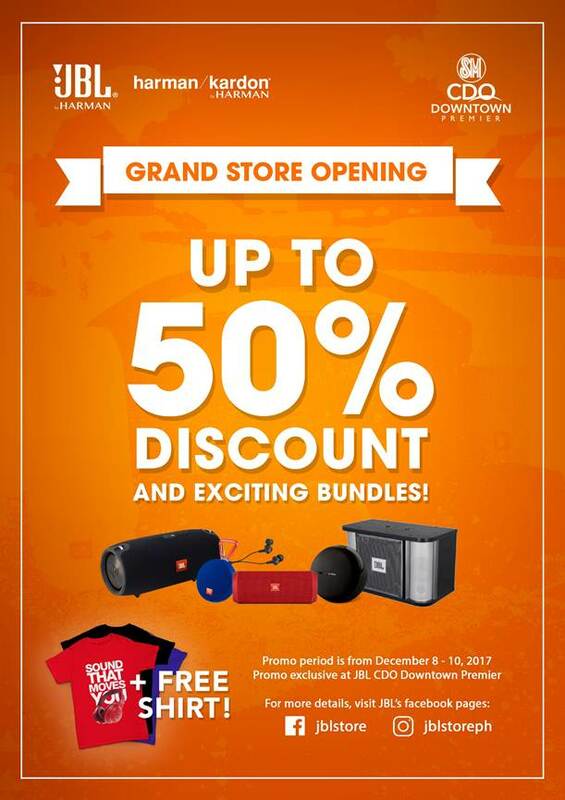 Come and visit JBL store at SM CDO Downtown Premiere on December 8 to 10, 2017 and enjoy up to 50% discounts and exciting bundles for you. 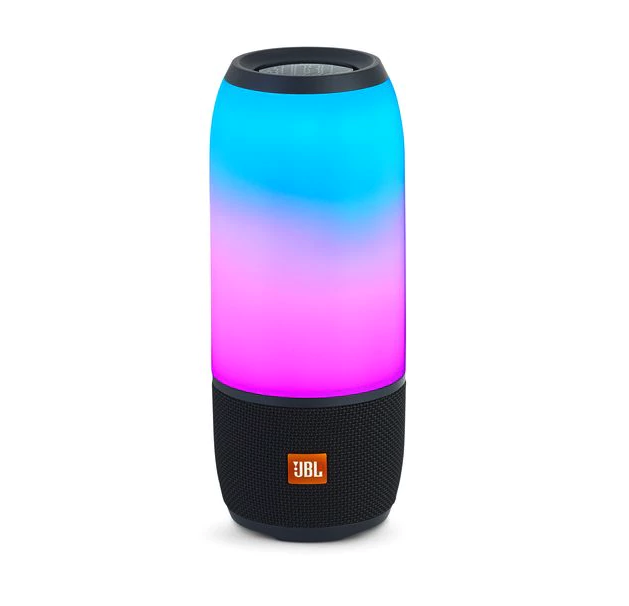 Check out their awesome product - JBL Charge 3, a Full-featured waterproof portable speaker with high-capacity battery to charge your devices. 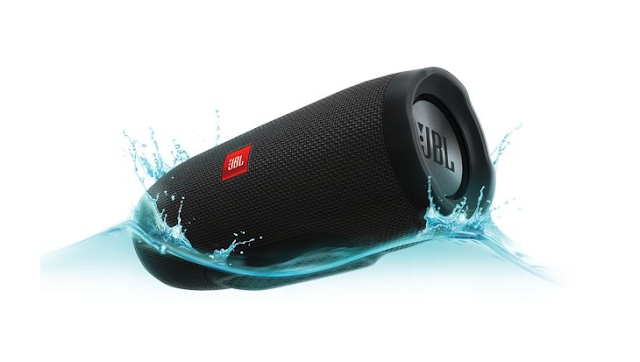 Visit JBL Store FB Page for more info.